News reaches the Copykat that China's 2014 Sword Campaign has dealt with 440 cases: The annual Sword Campaign against online copyright infringements recorded 440 cases in 2014 of which 66 were transferred for criminal investigation. 750 websites were shut down and fines of RMB3.5 million (approx. £350,000) issued. The Sword Campaign is run by the National Copyright Administration of China (NCAC), the State Internet Information Office (SIIO), the Ministry of Industry and Information Technology (MIIT) and the Ministry of Public Security (MPS). More here (in Chinese). More from China - with news that a new society has been launched to promote legal downloads and streaming of music in one of the world's booming economies. 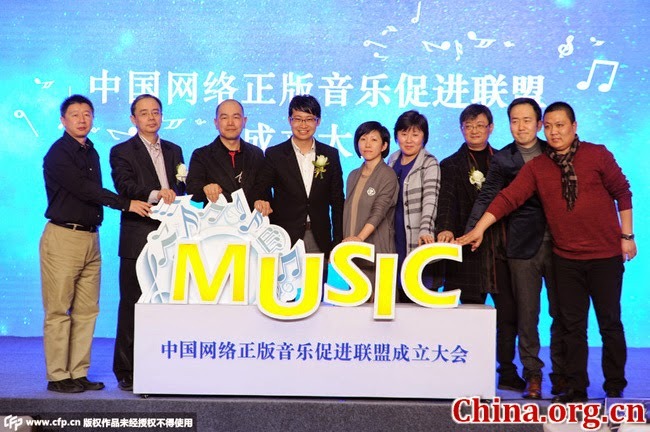 Liu Ping, deputy director-general of the Music Copyright Society of China, said the healthy development of online economy calls for a copyright protection mechanism at the launch of the Legitimate Online Music Promotion Union in Beijing. The Union aims to promote the development of the online music copyright industry in China, protect the copyright and legal rights of involved persons, and discuss the copyright protection measures of Chinese online music. The Union published an anti-piracy declaration at the launch ceremony, saying that they will crack down the infringement of music products through legal measures, and seek legal actions against the music pirates. First members includes the Music Copyright Society of China and companies providing online music fincluding Tencent, Koowo and KuGou Networks and record labels includnig Sony, Warner and Decca records. 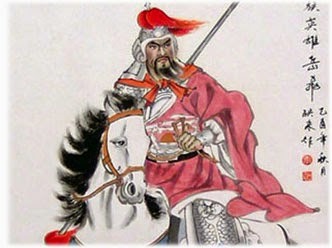 Image CFP. A federal judge has told a Cleveland restaurateur that food recipes can't be protected by copyright law after Rosemarie I. Carroll took legal action against a local rival offering similar dishes. Carroll, the owner of Cleveland eatery Tomaydo-Tomahhdo, said that she owned the copyright to a book of her recipes — a copyright she says her erstwhile business partner Larry Moore infringed by offering similar dishes at his own catering business. Interestingly, and explaining her summary judgement in favour of the defendants, Judge Patricia A Gaughan noted that Carroll had not developed the recipes herself and had further testified that she did not know how Moore developed his recipes or what served as Moore’s inspiration for the development of those recipes. The menus both consist of basic fare, including sandwiches, salads, pizza, chicken wings, and the like. According to Moore, none of the menu items were new or innovative and none contained unique or signature ingredients. Whilst Carroll had indeed produced a book of recipes, the defendants argued that the plaintiff's copyright infringement claim must fail because the plaintiffs have no protectable interest in the recipes contained in the recipe book. According to the defendants, copyright protection did not extend to the recipes themselves. At best, if the recipe book was worthy of copyright protection, it extended only to the layout and other artistic embodiments contained in the book itself. The Defendants also argued that as they had no access to the recipe book, there could be no infringement and the defendants further argued that there was no evidence suggesting that defendants had copied the recipes. The Judge held that even if Carroll's book had a copyright as a compilation (in the "order and manner of the presentation of the compilation’s elements") there was no copyright in the actual recipes: "The identification of ingredients necessary for the preparation of food is a statement of facts. There is no expressive element deserving copyright protection in each listing. Thus, recipes are functional directions for achieving a result and are excluded from copyright protection under 17 U.S.C. 102(b)" adding for good measure "Certainly plaintiffs cannot be suggesting that somehow the copyright prevents defendants from serving chicken salad sandwiches". The federal court declined to address the trade secret or breach of contract claims which had been brought, finding these were more appropriate for state court. Tomaydo-Tomahhdo LLC et al v. George Vozary et al CASE NO. 1:14 CV 469 US District Court Northern District of Ohio Eastern Division. And more here. Rightscorp have failed in their efforts to convince a US court that the DMCA can be used to identify potential downloaders of infringing materials under the fast track DMCA subpoena system. Unlike regular subpoenas, these are not reviewed by a judge and only require a signature from the court clerk. ISP CBeyond (which is not part of the US Copyright Alert System) declined to hand over customer data and argued that DMCA subpoenas, because they are in essence fast-tracked, are limited to specific kinds of alleged copyright infringement, and are not suitable for those accused of simply accessing unlicensed sources of content - the fast track should be reserved for those host unlicensed content. According to Torrentfreak, Rightscorp argued that that this argument unfairly hindered rights owners who sought to protect their copyrights, and that anti-piracy activity is exactly the sort of thing the DMCA should be simplifying. But the judge hearing the case said, while that may be a credible argument, that's not what the DMCA, as currently worded, allows, and it was for Congress to amend the rules. The federal court in Georgia ruled: "“CBeyond contends that the section does not apply to service providers that act only as a conduit for data transferred between other parties and that do not store data. 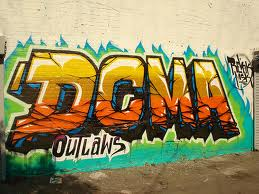 The court agrees,” and Magistrate Judge Janet King added "It is the province of Congress, not the courts, to decide whether to rewrite the DMCA in order to make it fit a new and unforeseen internet architecture and accommodate fully the varied permutations of competing interests that are inevitably implicated by such new technology". An appeal is planned. And after recent reports that Ian Fleming's body of work including the James Bond 007 stories would enter in the public domain in Canada after a term of life of the author plus 50 years expired, comes news from the EFF and others that planned signatories of the Trans-Pacific Partnership (TPP) Agreement (which include Japan and New Zealand who have similar copyright protection terms) have "caved in" to U.S. pressure and have agreed to extend their copyright term to life plus 70 years. NHK reports that a deal on copyright term has been reached within the TPP with countries agreeing to a US standard 'Micky Mouse' term of life plus 70 term. Alongside Japan, Malaysia, New Zealand, and Vietnam (the TPP countries that adhere to the Berne standard), "it appears that Canada has dropped its opposition to the change."